If you've been blogging for a while, like me, you'll have read all the blogging tips posts on what you need to do to make your blog a success. It involves, constant content creation, spending an awful lot of time promoting your posts on social media and various other outlets as well as other social media engagement to build up your community. We all know what will help us improve our blog readership, but for me, there's one thing standing in the way; my job. I'd love to spend every hour under the sun writing for and promoting my blog, but I spend too much of my time at work. So it's time for a new kind of post; advice for blogging with a full time job. Although the end goal is to make blogging my job, I can't just quit in order to spend my time making it a success because I need the pay cheque. I have bills to pay and responsibilities, and I'm not sure my landlord will accept good traffic stats in lieu of rent payments. So, I've had to re evaluate how I blog in order to keep it going while I still work my 9-5 and here are my tips for blogging with a full time job. Scheduling will be your friend. Schedule your posts and your social media activity, so that you take the pressure off and you don't feel so bad not doing anything for your blog at work, or vice versa, blogging while you're at work (not recommended at all, they are paying you to do a job, not write your blog). I am now trying to plan my posts in advance, and will now spend one day at the weekend writing and photographing for posts for the following week, as well as scheduling my promotional tweets using a social media management too. At the moment, I'm using Hootsuite but there are plenty of different options depending on what you like. 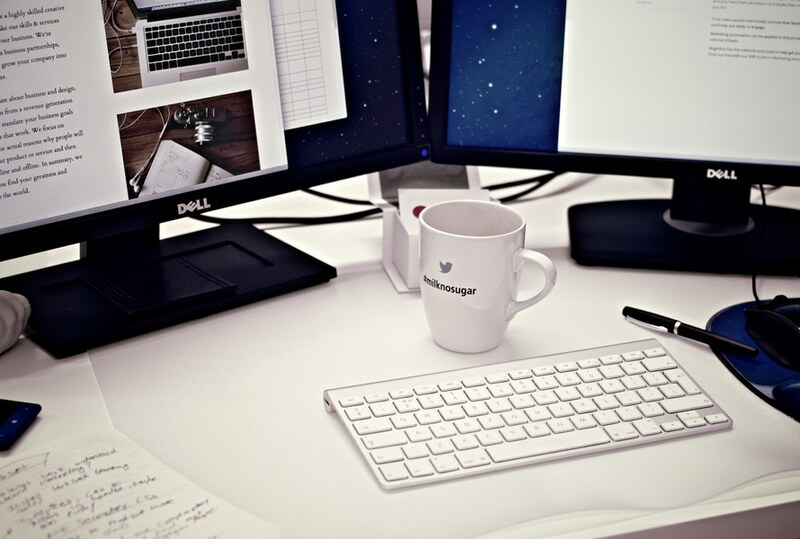 Check out some of the best social media management tools and see what matches your requirements. I've been blogging for years, why am I not at their level? How do they have time to post more than once a day! I'll never make it if I can't keep up with them. Those are just some of the things I regularly find myself thinking. The fact of the matter is, they aren't doing anything else! They have all the time in the world to blog and that's why they have a stream of new content. They've got plenty of time to be on twitter because they've already built up their blog. Perhaps they were lucky enough to start up when they were a student or similar. Or maybe they've already been through exactly what you are doing now and have already battled through blogging with a full time job. Stop comparing yourself to them and concentrate on what you're doing. Like I said, I spend one of my weekend days creating my posts and scheduling social media, but I'm also going to dedicate a couple of hours over a few evenings to concentrate on social media engagement so joining in with twitter chats, or just catching up with my followers and making new friends. I also don't want my interaction to just come from scheduling, otherwise it can feel really impersonal for followers, so this will give me some time to break that barrier. I've spent a lot of time promoting content etc and I think the main thing I've forgotten that comes hand in hand with blogging is the social interaction. It's not all about promotion, it's about being part of the community and making your own. Don't plan to publish 2 posts per day if you don't have time to write that much content, and while it might be nice to take on sponsored posts, make sure you keep realistic deadlines with PRs so you don't tarnish your name by not delivering. Remember, if you push yourself, your content won't be as good and there's no point publishing poor content, it will just be a waste of time in the long run. At the end of the day, you can't run yourself into the ground trying to do everything. Make sure collaborators (especially if they are paying you) understand that you are blogging with a full time job as well and give them a realistic posting date from the outset. Also, don't expect your blog to miraculously grow overnight just because you scheduled a few posts. It's still going to take time. Keep your head screwed on and things will seem much more positive. 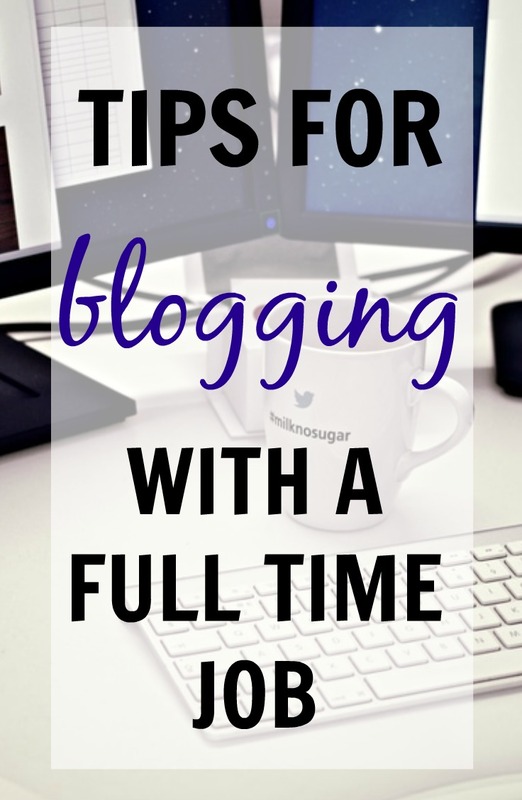 These are a few of the tips I'm going to start following to make it easier for me when blogging with a full time job. What's your advice? Share it in the comments! Some great tips! I have a full time job and blog at the weekend. Scheduling is my friend ! I'm really struggling with my job and blogging... Thanks for the tips!! You're right: being organised is the key here and also to get into a routine. There's no way to 'squeeze' in blogging at random times, rather have a set time on the weekend and then work it all in one go. On the other hand though sometimes it takes a while for the text or idea to come to me, so one should never force themselves to blogging if it doesn't feel right. Thankfully I'm home all day but then again with 6 kids it's like a full time job so great tips regardless! !